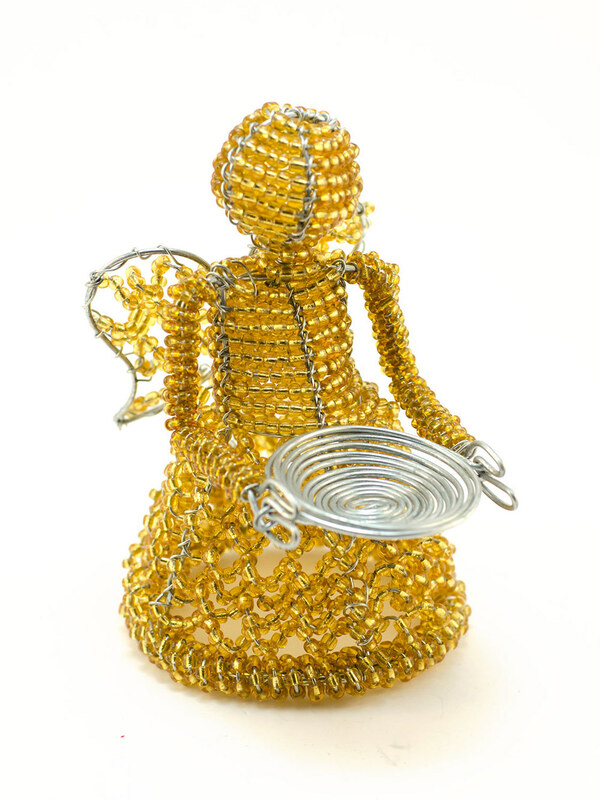 3D Beaded Angels: These angels are framed by skilled wire artisans and glass beads are then carefully wrapped around the frame in a variety of techniques to create this self standing African Angel. She has a wire spiral plate that can hold a t-light candle. She is also available with her hands in prayer position. 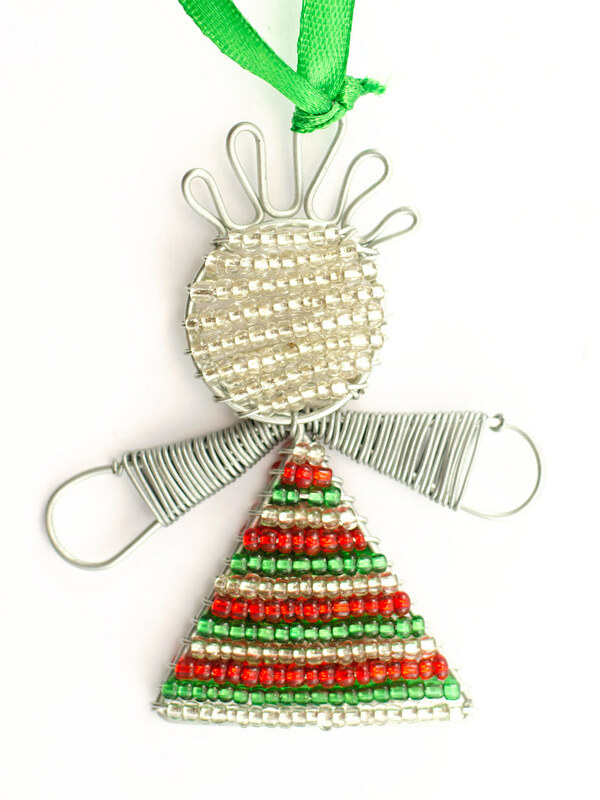 2D Angel Small: These little hanging decorations are shaped out of wire and beaded in a variety of colours with a single colour on her face and stripes on her body. 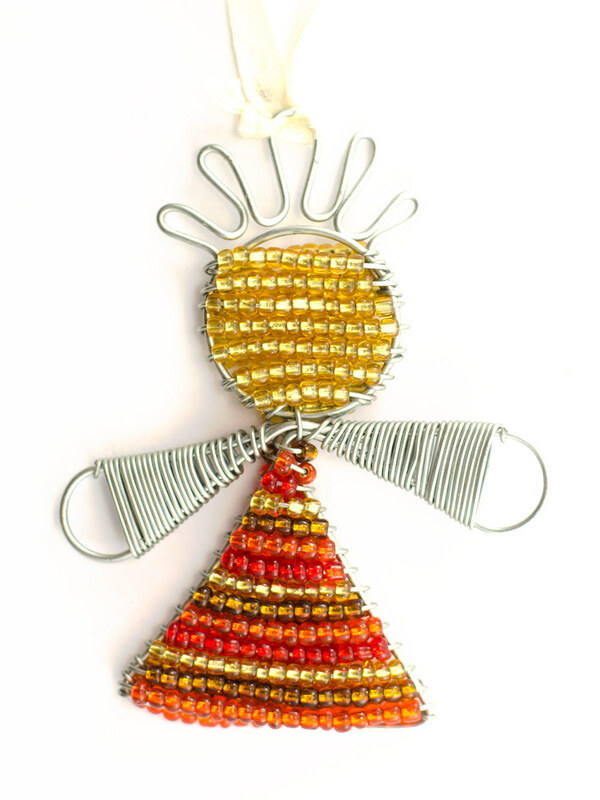 2D Angel Large: A bead and wire angel with beaded angel wings. This is a hanging decoration.